Unlock 0 exclusive video lessons. Everything above plus unlock 2 additional course(s). Earn a Specialist Credential that shows the world you've mastered the subject. This second course covers the rebels and revolutionaries of the Dada and Surrealist movements including Duchamp, Dali, Magritte, and others. And then we jump across the pond to look at the American succession of the New York School with de Kooning, Pollock, Rothko, Krasner, and many more. - Ability to understand the cultural and political contexts of specific art movements. - Understanding gender biases and the absence of women artists in the modern period. - Understanding racial biases and the issue of primitivism in the modern period. - Ability to articulate concepts of style in terms of describing form, color, line, light, materiality, and space. - Ability to describe different techniques of painting, collage, photography etc. - Ability to understand the chronological succession of art movements and why. - Understanding the basic biographies of the major figures in the modern and postmodern era. 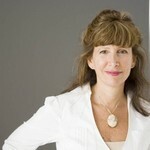 Lisa Wainwright is an American art historian who has held several positions at the School of the Art Institute of Chicago including: Dean of Faculty, Vice President of Academic Affairs (present); Interim Dean of Faculty (2007–2010); Dean of Graduate Studies (2004–2008); Professor, Art History, Theory, and Criticism (2003–present); Interim Dean of Graduate Studies (2002–2004); and Undergraduate Division Chair (1996–2001). She has published 29 essays in Encyclopaedia Britannica (2003) including Richard Serra, Robert Smithson, Bill Viola, Damien Hirst, Edward Ruscha, David Salle, Dan Flavin, Felix Gonzalez-Torres, Gerhard Richter, Jeff Koons, Julian Schnabel, James Rosenquist, and Yves Klein. Other notable publications include: Artist Profile: Alison Ruttan, Art Ltd., May/June 2015. The Enduring Appeal of Ed Paschke, Art Ltd. Magazine, September 2014. Dialogue: Michelle Grabner, Art Ltd. Magazine, Spring 2014. Theaster Gates: Exercises in the Creation of Value, Art Ltd. Magazine, Winter 2013. Practicing Rauschenberg, Experience Into Art, essay, University of California Press 2009. Lisa has also presented numerous noteworthy lectures, including: "Decadent Ornament," Los Angeles; "Rauschenberg and After," Dallas; "Pink Decay: The Femme Fatale in Contemporary Art, " South Carolina; "Ed Paschke and Toulouse Lautrec: Picturing the Demi-Monde," Chicago. Curator: "Ah...Decadence," "From Steel to Flesh"; "2001 Spaced Oddities"; "At Home in the Museum"; "Pink"; "1968." There are no required materials for this course. Please note: Taking part in a Kadenze course For-Credit or as a Premium Member, does not affirm that a student has been enrolled or accepted for enrollment by School of the Art Institute of Chicago. Taking part in this course For-Credit offers credit that is recognized by School of the Art Institute of Chicago, should the Kadenze student be accepted for enrollment in the future. Students who are currently enrolled at the School of the Art Institute of Chicago are not eligible to receive credit for this course. In order to receive college credit for these program courses, you must successfully complete and pass all 3 courses in this program. If a student signs up for the Touring Modernism: From the French Avant-Garde to American Pop and Beyond program, it is recommended that these courses are taken sequentially. *Partial credit will not be awarded for completion of only one course. This course is also part of the Program: Touring Modernism: From the French Avant-Garde to American Pop and Beyond, and you'll earn a verified Specialist Certificate after successfully completing the Program. This course is part of the program: Touring Modernism: From the French Avant-Garde to American Pop and Beyond. Programs unlock exclusive content (courses) that helps you develop a deep understanding of your subject. From your first course to your final summative assessment, our thoughtfully curated Program curriculum enables you to demonstrate your newly acquired skills are especially suited for those looking to advance their careers, prepare for their studies, or become an expert in a given subject. *Upon completion, this rigorous college-level program will provide credits that are recognized and transferable from the partnering institution. Credit as workload and transferability is defined by the granting institution. Participation in these courses does not represent an acceptance decision or admission from the institution that offers them.